Over the past 25 years, Indian gaming has become a significant source of revenue for many tribes, reaching $28 billion in fiscal year 2013. 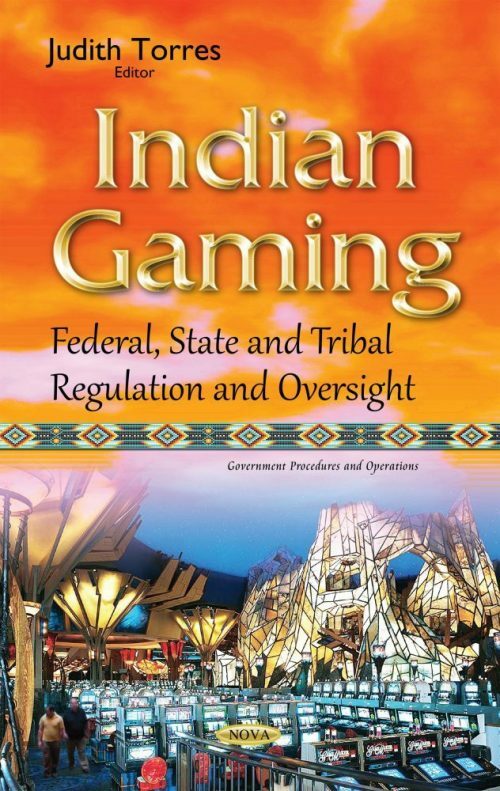 The Indian Gaming Regulatory Act (IGRA), the primary federal statute governing Indian gaming, provides a statutory basis for the regulation of Indian gaming. Tribes, states, Interior, and the Commission have varying roles in Indian gaming. This book examines Interior’s review process to help ensure that tribal-state compacts comply with IGRA; how states and selected tribes regulate Indian gaming; the Commission’s authority to regulate Indian gaming; and the Commission’s efforts to ensure tribes’ compliance with IGRA and Commission regulations.